Fancy a break from shooting up the online leader board? Turn the tables with daily challenges and stay up to date with all the latest Hustle Kings action via global activity feeds and ranking systems. This game is PS4 Pro enhanced – which means it’s been updated to support the super-charged power of leading-edge technology. Enjoy the benefits of enhanced graphics, frame rate or increased resolution – playable at 1080p on HD TV*. 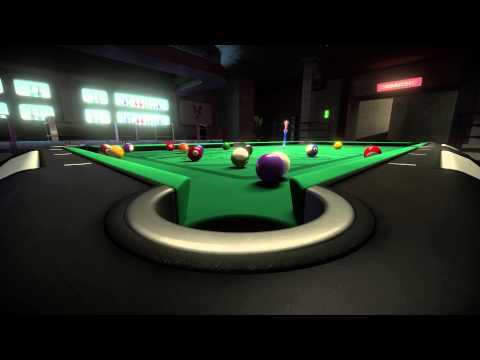 Line up your shots exactly like you would in the pool hall. It doesn’t get more authentic than this – time to hustle for real, with PlayStation VR. *Select games may have enhanced visuals, frame rate, or increases in resolution. 'PS4 Pro Enhanced' features vary by game. 4K TV Required for 4K visuals. PS4 Pro plays all PS4™ format games.